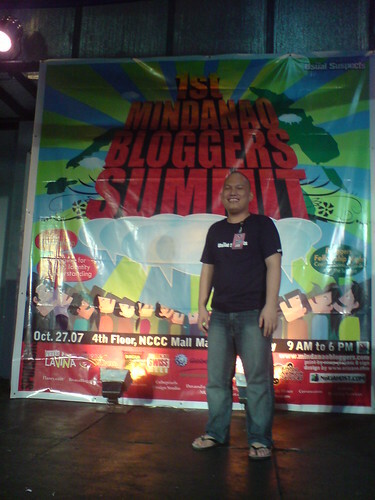 Posted byJun Macarambon	 October 28, 2007 September 5, 2013 25 Comments on 1st Mindanao Bloggers Summit – i g0t 0wn3d! I really have fun knowing and meeting all the Mindanao Bloggers and i hope we all meet again in the next blogging events. I didn’t join the fellowship night because i’m so exhausted and i’m having trouble finishing my film script and fixing/finishing some of my websites. I have other reasons why i can’t make it to the Mindanao Bloggers Fellowship Night – if you see me nor i get your attention during the summit i was wearing a slippers *evil grin*. I have a Ingrown nail. I can’t go to a party with a slippers which i believe its not prudent even i really want to hang out with you guys/gals. I miss the party! The launch was really good – i’m full! it’s shame but i take 2packs. hehe. Thanks to Dimsum Diner! 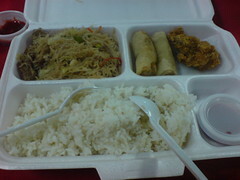 – one of the place i always crash if i’m hungry during the weee hours of night at their branch near Holy Cross of Davao. I wonder if the food they serve during the summit is available in their menu since i always have beef siomai and beef brisket. I like the chicken. Now i’m hungry again. One of the surprise is a video message of Matt Mullenweg the founding developer of WordPress, the blogging software that runs much of this site and thousands of other sites around the world. We are hoping someday we will bring Matt here in Mindanao. Thanks for the message and enjoy your stay in Hawaii. And to the youngest bloggers who attend the summit. I forgot to ask his name… haha! The future Mindanao Bloggers! To all raffle winners of Domain names and Web Hosting packages please do drop me an email here – jun at wyzemoro dot com. The Usual Suspects – Thank you for MBS1’s success! I was there at the MBS1! Mindanao Bloggers Summit! : A Sakses! MBS 1, A Huge Success! 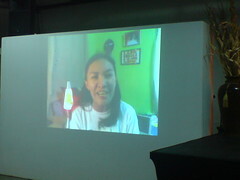 Mindanao Bloggers Summit: Wham Bam Thank You Mam! If you post a review about the the MBS1 please drop a comment so i will update the list and you will have a chance to win something for the best posts about the MBS1 event. 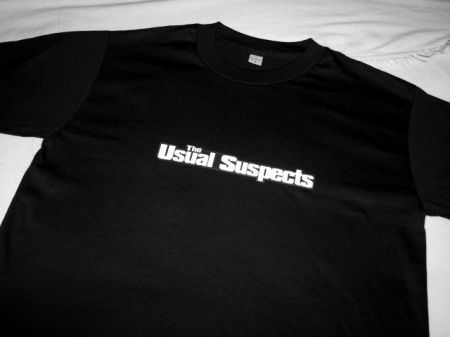 I really love our t-shirt(below). Photo by Andrew. MBS1 is proudly organized by Davao’s The Usual Suspects: Peter Lavina, Andrew dela Serna, Blogie Robillo, Dom Cimafranca, Jun Macarambon, Kim Castillo, Marc Javellana, Migs Hipolito, and Ria Jose. To all Mindanao Bloggers who attended the summit…. DAGHANG SALAMAT! 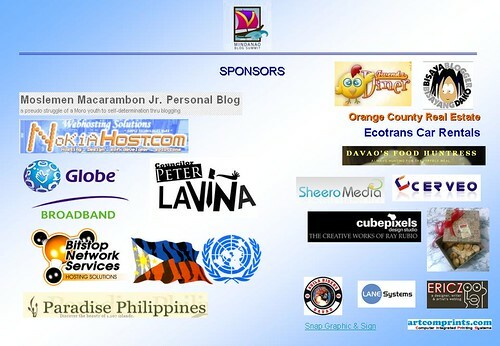 Please update your posts “I’m Going to the Mindanao Bloggers Summit!” of the link sponsors. So next blogging events more sponsors will join. Watch out for the next blog event – The Mindanao Blog Awards. Hi Jun! The baby is our son CT short for Charles Terrence with the nanny. By the way, here is my blog post about the 1st Mindanao Bloggers Summit. Where were you last night? Didn’t see you at the fellowship party at Casa Habana. My hubby Charles and I are happy to meet you and other Mindanao bloggers at the Summit. @ Tere – Last night? i was busy revising and fixing my film script… im gonna shoot next week and it still not finish. gusto ko sana humabol kaso may ingrown nails ako… alangan sa party mag tsinelas ako…. sa Mall pde pa. hahaha! nahihiya nga ako eh…. baka ano masabi ng dumalo sa summit ano etong organizer naka tsinelas lang. hehe. LOL! Hope you enjoy the summit and the party! you have a future Mindanao Bloggers.. start them early. hahaha! HEY! Where’s the link to my live blogging entry??? Here’s the LINK. Sori Auntie Maria Jose….. wala kasi sa davaoblogs… hirap maghanap kung sino2 ang nagposts about MBS1. inisa isa ko lahat ng mga links sa registration. I have still to check out the list of registration ni Kim … yung walk-in. updated napo. congrats to us. can i have your email so we can exchange messages? @ Avy – thats not a some review of post-MBS1, thats the required post to join the summit. Post something like what happen or you don’t like and etc. PLease do also update the sponsors link. Thanks. @ hunee – your welcome. thanks also for joining. with you all mindanao bloggers the event is nothing. this is for all of us. Congrats Jun and to the rest of the usual suspects. I hope you’ll organize one again next year. Cheers! @ Janette Toral – Thanks. Next year summit this time we will organize it more early. Prepare more early…. like giving early invitation to sponsors so theres more fun and freebies again next year!. watch out for the next event …. Mindanao Blog Awards. nice to see you po..
@ Tere – naka link na just updated. yah sa March 2008 … food blogging na naman. hehe. Araw ng Davao po yan… hehe. @ Richard – naka link napo.. peru sa main page mo. indi kasi ma click ang article… meron ba url na diretso lang sa post mo? @ sharm – nice meeting you too. say hi to your hubby Marc. until next event… see yah! kami naman punta manila. hehe. congrats in advance sa kasal nyo ni Marc hope invited kami. hehe. @ Aice – Thanks! keep in touch.